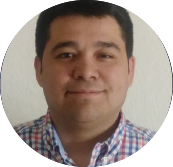 Jose Garcia, Director of IT Services at Mesilla Valley Transportation Services, was challenged with improving IT customer support for leaders across the organization. Enter POPin. Mesilla Valley Transportation (MVT) is one of the largest locally-owned truck load carriers in North America, specializing in time sensitive service between major manufacturing areas on the U.S., Canada and Mexico borders. As the Director of IT Services, Jose Garcia oversees a team of support specialists responsible for the implementation, troubleshooting, and maintenance of technology that supports the growing organization. After receiving feedback that the IT Support Team wasn’t meeting leaders’ expectations across the organization, Jose was challenged with understanding and addressing the key areas of improvement. Armed with a better understanding of the issues, Jose built a strategy to improve help desk customer service. To build trust, the plan included implementing steps to proactively address technical hiccups, and a shift in focus from implementing temporary workarounds to resolving root issues. He along with the help desk manager also re-established a cadence of weekly team meetings and weekly training sessions to enable specialists to continually grow their skillset and ensure alignment. To address the communication issues, Jose clarified and documented the available help desk services, emphasizing 24-hour availability, and distributed this information across the organization.